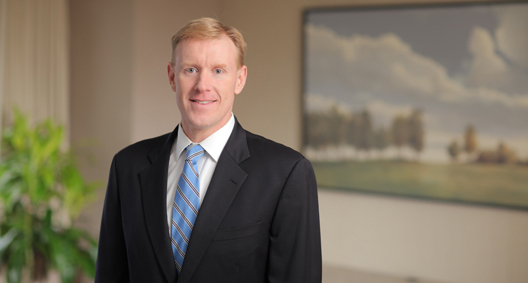 Rand McClellan is a commercial litigator focusing on complex matters and class actions. Rand assists clients with consumer protection litigation, Telephone Consumer Protection Act (TCPA) issues, deceptive advertising claims, and creditors’ rights matters. He also has significant experience in assisting financial institutions with litigation relating to business loans. Rand is an editor and contributor to BakerHostetler's Class Action Lawsuit Defense blog, which provides updates on legal developments, settlements and practical advice. He also provides insight on class action issues at speaking engagements. Obtained summary judgment on all claims asserted in a putative class action against one of the largest property and casualty insurers in Ohio, and persuaded the Ohio Supreme Court to affirm summary judgment on appeal. Laboy v. Grange Mut. Cas. Co. Obtained complete jury verdict for a motorcycle manufacturer regarding alleged breaches of contract and consumer protection statutes. Hillard v. Big Dog Motorcycles. Represented lender in connection with borrower’s default on a commercial real estate loan. Quickly extracted property from a proceeding in which numerous parties and lienholders alleged fraud in the transfer of the property, persuaded the court to appoint a receiver, obtained judgment and foreclosed on the property, sold the property at a sheriff's sale, and obtained a significant monetary recovery for the client. Woodward Constr., Inc. v. FOR 1031 Summit Woods I, et al. As co-counsel, persuaded the United States Court of Appeals for the Seventh Circuit that a class certification order against one of the nation's largest insurers was an abuse of discretion, obtaining full reversal of the order. Kartman v. State Farm Mut. Auto. Ins. Co. Obtained dismissal of an action alleging that a cutting-edge automobile manufacturer was selling its battery-powered automobiles in violation of the Ohio Motor Vehicle Code. Ohio Auto. Dealers Assoc. v Ohio Dep’t of Public Safety, et al. Obtained dismissal of a lawsuit against a freight distribution client by convincing opposing party, through depositions, written discovery and case law, that its claims were without merit. Texas Freightways, Inc. v. United Pool Distrib., Inc. Represented aviation authority and oversaw a complex eviction and liquidation of a large aviation tenant from several buildings and hangars via Ohio's receivership statutes, over the objections of the tenant's creditors, while obtaining significant monetary recovery for the client through the receivership. Columbus Regional Airport Auth. v. Snow Aviation Int’l, Inc., et al. Accident investigation for land-based drilling companies. Litigation counsel for Ohio electric cooperatives.